WINNIPEG, MB (June 26) - Austin Pierce of Grand Forks, ND picked up the feature win Thursday Night at Red River Co-op Speedway. He topped the pack of Northern Outlaw Sprint Association pilots for his first victory of the season and first-ever win at the speedway. At the early get go, however, Chris Ranten was the class of the field until he was forced to the pit area to change a flat tire under caution. Pierce then inherited the lead and set the pace for the remainder of the event. It was a rough night for a couple of the hometown Canadian drivers. Thomas Kennedy's 410 powerplant blew up during the main event and his father, Lou Kennedy Jr., ran out of methanol on the final circuit while running second. The other Canadian driver, Amber Balcaen, rounded out the podium with her best career finish. 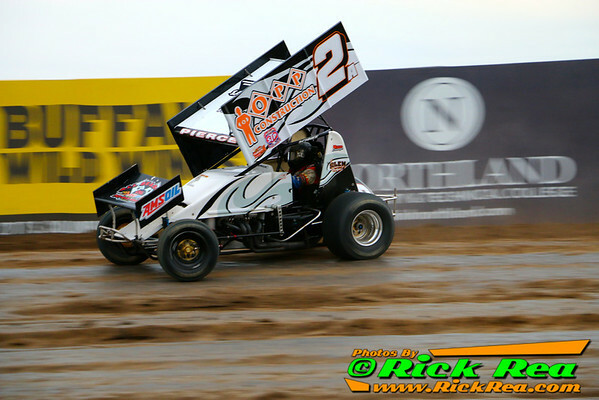 The NOSA Sprints were scheduled to run at Buffalo River Race Park in Glyndon, MN on Friday, June 27 to make up their May 25 rain out, but once again heavy showers postponed the event. The next race on the schedule is at River Cities Speedway on Friday, July 4. Hot laps begin at 6:30 with racing at 7:30.